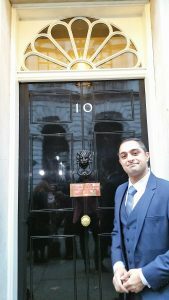 Birmingham businessman Shohaib Shafiq was one of an exclusive group of businessmen and women invited to Downing Street to celebrate Small Business Saturday. There, Mr Shafiq, of Hall Green based Integrity Accountancy Services, was able to discuss issues relevant to the small business sector with representatives of the Government, including the Economic Secretary to the Treasury, Stephen Barclay MP, the Minister of State at the Department for International Trade Baroness Fairhead, Minister of State at the Department for Business, Energy and Industrial Strategy, Claire Perry MP, and Caroline Nokes MP, the Minister for Government Resilience and Efficiency. Mr Shafiq was one of just a hundred business representatives invited to the Downing Street meeting, from over six-thousand who originally applied. And he described the experience as ‘extremely useful and thoroughly worthwhile’. “It was an honour to be among the select few chosen, and a fantastic opportunity to get to mingle, network, and share my thoughts about issues currently facing the small business community, and indeed, the small-to-medium businesses, and the bigger ones, too. 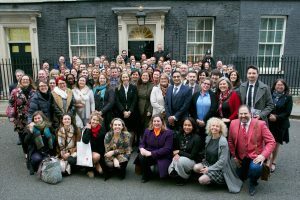 “As an accountant whose clients include businesses of all sizes, I am always listening to the what’s good, and what’s not good, or helpful to their wellbeing, and this was a wonderful opportunity to share that with a Government Minister.??? Mr Shafiq said three main issues were raised: the impact of Brexit on the UK economy, business rates, and apprenticeships. “Apprenticeships is an issue I have a vested interest in, because I have taken one on,??? he said. “Recent changes to a Government scheme mean that businesses, going forward, will be expected to contribute 10 per cent towards training costs, which has already had a negative impact – it means less companies will be inclined to sign up for the scheme, than did so initially. “The Government representatives tried to put a positive spin on this, but it does worry me because it was not what I was sold originally, nor what I signed up to, and it would make me think twice about taking an apprentice on in the future, as I know it would many of my clients, who have discussed this with me. “I got the impression they won’t compromise on that one, but overall I came away thinking that the Government is very supportive of small business, they’re aware of the issues that face them, and listen to the feedback, though we’ll have to wait for changes to filter through, but I’ve no doubt changes will be made for the better.??? Small Business Saturday UK is a grassroots, non-commercial campaign, which highlights small business success. and encourages consumers to ‘shop local’ and support small businesses in their communities. For further information, contact Shohaib Shafiq, Integrity Accountancy Services, on 0121 777 5361, or on 07970 832090. Next Next post: What is the Right Company Structure for my Business? Copyright © IntegrityAccountancy 2017. All rights reserved.